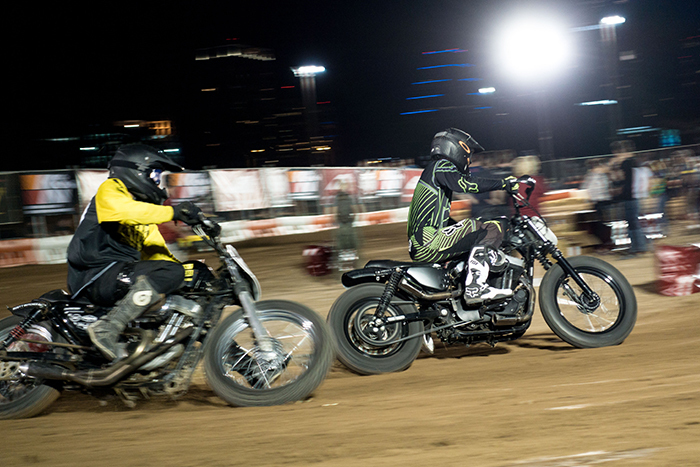 The year the Super Hooligan races in Austin, TX added additional excitement to an already adrenaline-packed weekend. 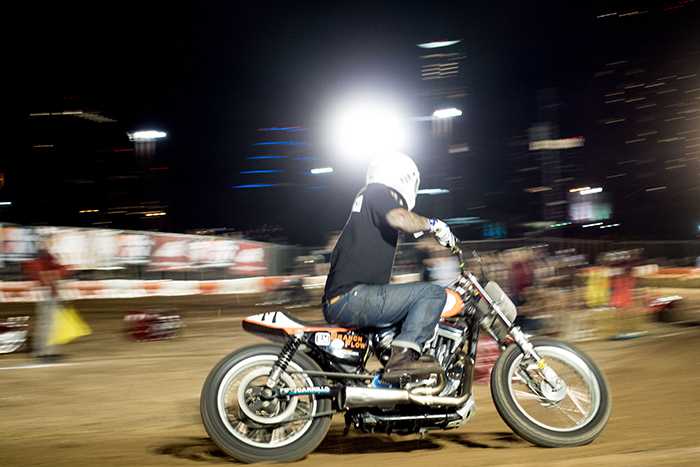 Set up across the street from Revival Cycle’s Handbuilt Motorcycle Show which also happens to be during MotoGP weekend, there is never a more moto-hungry crowd in ATX. 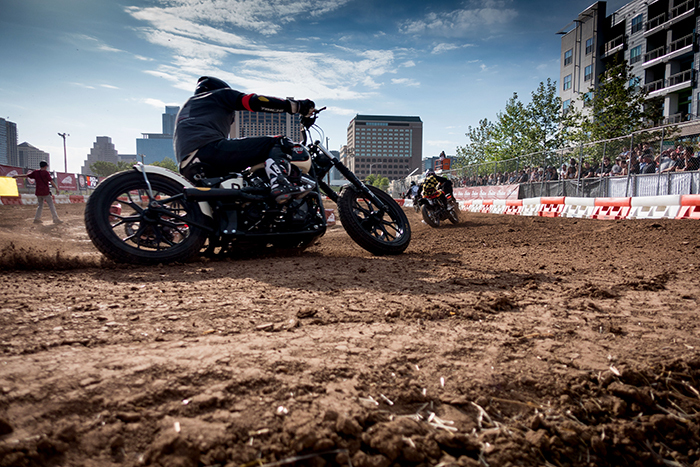 The streets and bars are jam-packed with race fans, custom builders and hooligans throughout the weekend and the Super Hooligan brings the action right into downtown Austin. Right across the street from Fair Market, truckloads of dirt were laid in the gravel parking lot and a tiny flat track was set. Its size lent itself to some serious competition for everyone racing and some serious good times for all who were in attendance. 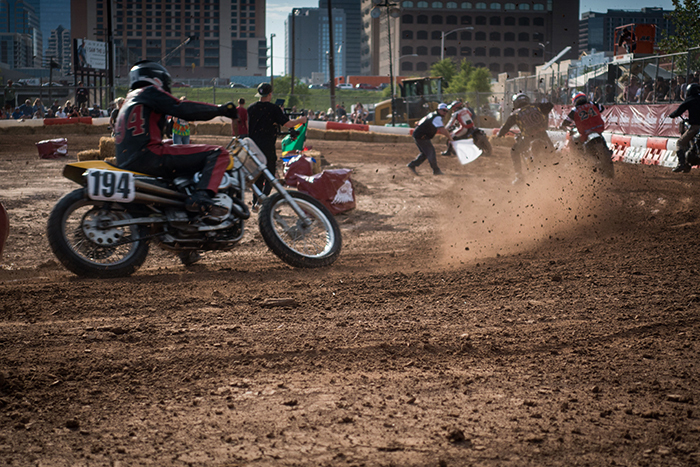 Organized by RSD and Indian Motorcycles, in collaboration with Revival Cycles and the Handbuilt Show, the races took place on Friday, April 8th and featured four classes including: Super Hooligan (stock-framed street bikes over 750cc), GNC Pro Twins with a $5k purse &amp; Dash for Cash, Air-cooled Vintage and Costume Run What Cha Brung. In proper hooligan form, classes were open to anybody that dared enter, aside from the Pro Twins class which is reserved strictly for professional racers. 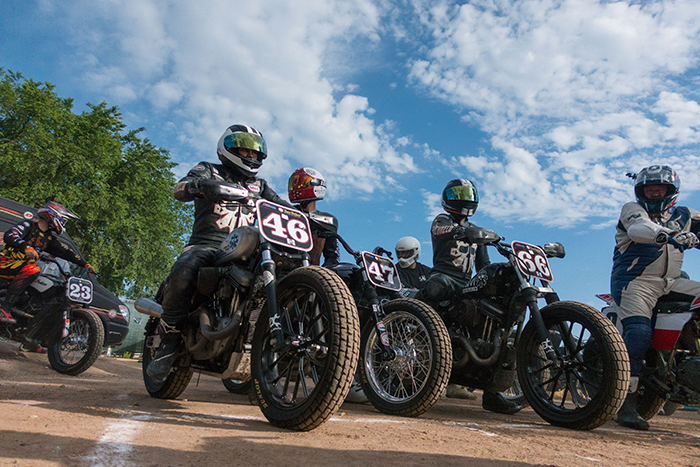 If you’re in town next year for the Handbuilt Show or the MotoGP races, make sure the Hooligan Races are on your calendar as well.